Wish Condominiums is a boutique style development overlooking Wishing Well Woods. The 18-storey condominium building is a new Pre-Construction Scarborough Condominium by Liberty Development Corporation. 270 Units will occupy the bespoke building with prices starting from the high $200’s. Wish Condos’ location provides direct and easy access to the city for work, and a great escape into the mature treelined neighbourhood for leisure. Both Hwy 404 & 401 are within a 2 minute drive. TTC Bus stops are right at the corner of Pharmacy Ave & Sheppard Ave E. A short bus ride over to Fairview Mall provides access to the Sheppard Line Subway at Don Mills Subway Station. Downtown Toronto is just a 20 minute drive! Wish Condominiums is located near numerous schools such as North Toronto Christian School, Bridlewood Jr Public School, Sunshine Montessori School, Pleasant View Jr High School, and many more. 3105 Sheppard Ave East – Wish Condos has wonderful greenery surrounding it with parks such as Wishing Well Woods, Wishing Well Park, and Vradenburg Park. CF Fairview Mall is nearby for all your shopping needs and there are many delicious eateries such as Red Lobster, Johnny’s Hamburgers, Paramount Foods, and much much more. Wish Condos has bespoke suites that feature bright and spacious open contemporary designs, ranging from 480 sq ft to over 900 sq ft . Every suite comes with a balcony and some south side suites will have great terraces offering a gorgeous south view to the city, overlooking Wishing Well Woods. Landscape Architects: Schollen & Company Inc.
Liberty Development is based out of Markham, Ontario in Canada. Liberty Development is a leader in green building development principles and technologies. They are committed to reducing their footprint on the environment. 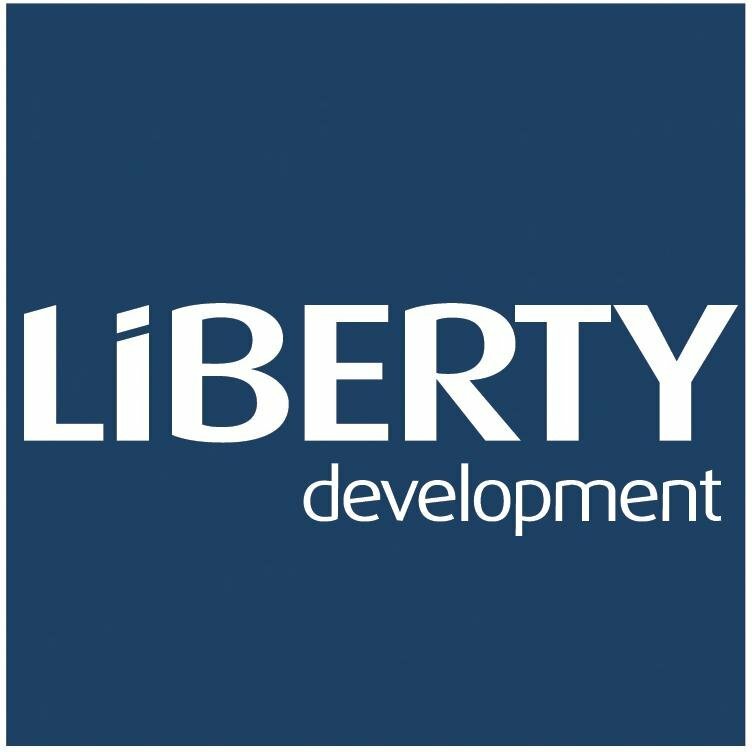 With over 30 years of hands-on experience, Liberty is a full service real estate development company, a leading developer of commercial and residential buildings in the GTA. Cosmos Condos is a new mixed-use development by Liberty Development Corporation consisting of residential, office and commercial use space coming soon to Vaughan’s “new downtown”, the Vaughan Metropolitan Centre. This proposed project is located on 2.07 hectares at the southwest corner of Maplecrete Road and Regional Road 7 in Vaughan, Ontario. It consists of 4 towers designed by Kirkor Architects + Planners ranging in height from 25 to 35 storeys which will be implemented in three phases and will also include a 12 storey office building. as well as a courtyard/park. A new boutique condominium development currently in pre-construction located at 591 Sheppard Avenue East in Toronto, Ontario with 11 storeys and 203 units. Located in the upscale Bayview Village neighbourhood. Available unit size range from 390 square feet to 940 square feet scheduled to be completed in April 2018. Amenities include exercise room, terrace, lounge, multi-purpose room and golf simulator. Sales for available units start from $208,900. A new condominiums development currently under construction and is selling located at 7777 Weston Road in Vaughan, Ontario with 34 storeys and 447 units. Available unit size range from 490 square feet to 1,140 square feet designed by Kirkor Architects + Planners priced from the mid $200,000’s. A new condominium development currently under construction located at Bathurst Street and Centre Street in Vaughan, Ontario with 438 units. Available unit size range from 515 square feet to 1,485 square feet scheduled to be completed in 2016. Sales for available units start from the $280,000’s. A new condominium development that was completed and is selling located at 7171 Yonge Street in Markham, Ontario with 520 units. Available unit size range from 530 square feet to 1,250 square feet. Amenities include pool, sauna, exercise room, billiards room, party room, rooftop terrace, BBQ area and cards room. Finally, to add to Liberty Development Corporation’s many projects is the new Cosmos Condos coming soon to Highway 7 and Maplecrete Road in the City of Vaughan.